Call us at 877-427-1238 to place your order. 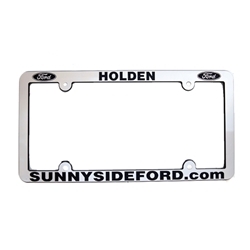 These are high quality, high impact license plate frames. These frames are UV protected and unbreakable with normal use. 6 1/8" x 12 1/4"